Philatelic Curiosities – Philately. Lately. “Elder Nicolae, the Fiddler” (1906) is one of the best known paintings of Romanian painter Ștefan Luchian (1868-1916). Although Luchian excelled in the area of landscape and still life painting, there are a couple of well-known portraits signed by him, among which Gypsy flower sellers, laundresses, and children are captured in Impressionist style. A former student of the renowned Nicolae Grigorescu, and an avid admirer of Rembrandt and Correggio (whose works he copied during his 2-semester stay at the Munich Academy of Fine Arts), Luchian’s paintings are immediately recognized by Romanians due to his very personal touch. It is in this position that we find “Elder Nicolae, the Fiddler” – the portrait of a weary, anguished older man, caught in a moment that has little to do with his trade. Nicolae is resting, probably after vivacious carousing, where he conducted the entertainment of the merry-makers. This year, the colony inhabited by human-like blue elves that we know under the name of Smurfs is celebrating its 60th birthday! Imagined and inked by Belgian cartoonist Peyo (real name: Pierre Culliford), the Smurfs are a great example of long-living cartoon characters, since their popularity never faded since 1958, the year the first cartoons featuring the Smurfs were published. The characters got their own histories, new Smurfs joined the colony, and now there are at least 100 Smurf characters that are easy to recognize due to their appearance and to their well-constructed histories. Half of them exist ever since the first comics were published. Of course, there are Smurf comics, and animations, TV series and full-length movies, but there are also various types of merchandise, video games and they are even featured in theme parks. Stamps could not go missing from the Smurf universe, so below you’ll find the official Smurf stamps issued ever since 1984. The Swiss Post issued two Smurf themed stamps in 2013. Pictured above the self-adhesive stamps issued in Switerland. I have never watched “Star Wars” movies because nobody was able to explain to me why I should watch them. Everyone talks in superlatives about this media franchise – it’s all in the limits of “great” and “awesome”, but that gives me little encouragement to watch the movies. I do know that “Star Wars” ranks second in the top of largest of highest-grossing media franchises, and I do know that it all started in 1977 with the first movie. Which was then dubbed the sixth movie. And I do know that this is science fiction as genre goes, however the action happens “a long time ago in a galaxy far, far away“. Even if I am immune to the charms of the “Star Wars” universe, I am not immune to stamps. The popularity gained by “Star Wars” is quite visible in the realm of philately. You will find below a fine selection of Star Wars-themed stamps. What we have here is an early example of Star Wars themed stamps. Quite difficult to secure in one’s collection, they were issued in 1996 (but marked 1995) to “commemorate the Star Wars trilogy”. It’s unclear for me what exactly is commemorated, since 1996 is one year short of the 20th anniversary of the first movie. Pictured above the three stamp series of self-adhesive stamps of St. Vincent & the Grenadines. Like no other young adult book, “Harry Potter” entered our universe like a tornado. It’s been barely 20 years since the first HP book penned by J. K. Rowling has been published, and barely 10 years since the last novel of the fantasy series brought the destiny of loved characters to a stable end. That, of course if you believe things can be stable or if you think time is linear. Maybe the best of “Harry Potter”, after we’ve read the books, played the games, read the play, watched the movies, or bought Harry Potter memorabilia is only yet to start. The universe conceived by J.K. Rowling is a record-breaker in terms of finance (she is the only known book author who is a billionaire) and popularity (450mil copies of the book were sold worldwide in 67 languages in the span of 10 years). However, it was a late bloomer when it came to stamps. Of course, because everything that comes on stamps has an aura of official recognition. But even here it is a record-breaker. Hold on tight, and you’ll see why. The overall main proponent of Harry Potter stamps is of course Great Britain. It did not only produce the largest number of stamps inspired by the universe of Harry Potter, but it has also innovated here and there with stamp minting technologies. Pictured above the 2007 series of stamps issued on the 10th anniversary of the first-ever Harry Potter book. Left to right: “The Philosopher’s Stone” (1997); “The Chamber of Secrets” (1998); “The Prisoner of Azkaban” (1999); “The Goblet of Fire” (2000); “The Order of the Phoenix” (2003); “The Half-Blood Prince” (2005); “The Deathly Hallows” (2007). It is also the first time when a cover of a book was featured on a stamp before it was even released! The series set out as an anniversary of the first book, but in fact, it includes the seventh book as well. The series of stamps was issued on Jul-17, 2007 – while the book itself was to released a couple of days later, on Jul-21, 2007. What a marketing feat! Visually, there are two almost immediate images that pop up in one’s mind when thinking about Lewis Carroll’s “Alice in Wonderland“: the vintage illustrations of John Tenniel, and the Disney movie images. Normally people balance between the two when they think about the book. Newer images sort of strike as odd – and I have to confess I have the same feeling, unless it’s the illustrations of Yayoi Kusama – now that’s something I would like to see on stamps one day! Illustration by Yayoi Kusama for “Alice in Wonderland“. But coming back for a second to the compelling images of “Alice in Wonderland“. Tenniel’s 92 “Alice” images, including the ones which were not published in the original “Alice”, are now stored as blocks of wood in the Bodleian Library at Oxford. They are the drawings that made Tenniel equally famous as Alice – although his career as an engraver went a lot further than that. They were on display only once since being housed in the Library – in the year 2003. Walt Disney actually bought film rights for Sir John Tenniel’s images before he embarked on the 5 year creative struggle to bring Alice to the screen. Of course, this happened 67 years ago, so the techniques used were far more rudimentary than the ones used today. But still – if you don’t see the immediate resemblance in images, you should know that both sets of images are interconnected. Why is that important for philately? Well, because these two prevailing images are most often found on stamps. On rare occasions, someone pens new “Alice” images, but you should be the judge of the effect. I personally am not a big fan of such transgressions. By far the most prolific offer of stamps inspired by the universe from “Alice in Wonderland” comes from Great Britain. The first such stamps were issued in 1979 – Great Britain’s choice of stamps for the International Year of the Child. While many countries chose to illustrate this theme with stamps related to childhood images or even with awareness raising images for better education and healthcare for children, Great Britain put on stamps four classics of children’s literature, among which you can also find “Alice”. French philosopher René Descartes (1596-1650) left to us a strong legacy, including the famous saying “I think, therefore I am” (French: “Je pense, donc je suis“). He also inspired the newly coined phrase “Cartesian anxiety,”, which represents the hope that studying the world will give us unchangeable knowledge of ourselves and the world – an awkward thing in our post-modern times. Today we’re going to talk about an error on stamps. Stamp errors are pretty common, actually, whether they are related to a flaw of printing (wrong framing, or missing colors) or to the information provided on the body of the stamp. The story takes us back to the year 1937 – when France, for the 300th anniversary of Descartes’ “Discourse on the Method” issued a stamp. In fact, it had to issue it twice. The full title of Descartes’ masterpiece is “Discourse on the Method of Rightly Conducting One’s Reason and of Seeking Truth in the Sciences“, and despite the long title it’s quite an interesting read, even for the minds of contemporaries who are dealing with TMI and FOMO day in day out. It’s still fresh, not at all boring, and it can provide you with hours of musing on the nature of thinking and our superman-like ability to think. The first stamp that was issued was released on May-24, 1937. It features an engraving of the known portrait of René Descartes by Dutch painter Frans Hals with an intricate backdrop – where we can see the title page of his best known work. 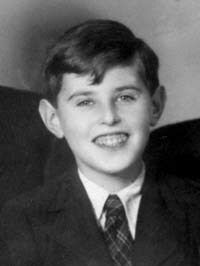 Petr Ginz (1928-1944) was one of the many child victims of the Holocaust. Born in a mixed Czech-Jewish family, he grew to be a precocious young man, writing his own novels, keeping himself informed about current events, and loving everything that was scientific. He was bilingual in Czech and Esperanto. His parents, after all, had met at an Esperanto Congress. Petr Ginz would have been one of the many anonymous faces of the Holocaust, were it not for his diary. He kept a diary chronicling the looming anti-Jewish policies of the Third Reich in occupied Czechoslovakia for two years, between 1941 and 1942. His diary stops short when he is deported at the age of 14 to Theresienstadt. Two years later, in 1944, he is transported and taken to the gas chambers of Auschwitz. The fact that Petr Ginz wrote a diary was known. His sister, Eva (later Chava) Pressburger knew about the diary, but it was apparently lost. What she had from her brother were poems and drawings. It was a copy of such a drawing made by Petr Ginz that Israeli astronaut Ilan Ramon (אילן רמון), himself the son of Holocaust survivors, took at the request of Yad Vashem officials on the board of Columbia STS-107. It shows the Earth seen from the Moon.